Comparing it with other cheats such as glo 3g for 1k. How Can i configure BBLITED to 21600 Plan to browse free on your device? To get started,follow below settings. -Wait for the activation message. 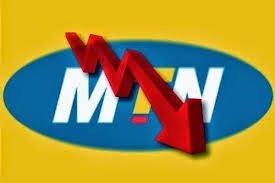 Hi guys, am sure that you are still enjoying your unlimited downloading/streaming with MTN BBIMIDID daily plan of N100. MTN BBLITED is another alternative that is even cheaper than BBIMIDID and it is working flawlessly, even better than BBIMIDID (Tested & Confirmed), now you have variety choice, you can choose any one you like between BBIMIDID and BBLITED. MTN BBLITED is another BB10 daily plan, working like BBIMIDID on both PC and Android devices. It is working better with SimpleServer VPN and the same old setting (web.blackberry.net). BBLITED plan cost N70 only and you are free to download with it anyhow, but don't forget that fear usage police attached to many MTN Blackberry plans. Don't be scared when you subscribe to it and you received a message "Welcome to MTN Blackberry BBLITED. You have 10MB inclusive data bundle". Just ignore that message and continue surfing unlimited. » Make sure you have at least N70 airtime on your MTN SIM. » Wait for the activation message. As I said earlier, you’ll receive a message welcoming you to MTN Blackberry BBLITED and it will also tell you that you have 10MB. Just ignore that message. Connect and open your SimpleServer app with web.blackberry.com no change. Same thing goes for Android and PC users. When browsing, you will also receive a message that "Yello! You have used up your BB10 data plan" Ignore that message too, and continue with your work. Note: BB10 Lite monthly and weekly plan are also working flawlessly on Android devices and PC with the help of SimpleServer and the setting above.